This is another Top Ten Tuesday I am participating in and is hosted by the Broke and the Bookish! I love participating and this week’s theme is books I liked more or less than I thought. I was having a hard time deciding which to pick, more or less. So I decided to do a few of each! The best of both worlds right? These are going to be books I liked more than I expected. This could be because I had no expectations going in. Or it could be because I was expecting something awful. Either way, I ended up LOVING them! Can I just extend this rating to the whole series? I was not really expecting that much, but I was completely wrong. Described to me as a mix of Game of Thrones and the Three Muskateers, this was so much better than those. What happens? Well, in short, the King has been executed by the evil dukes and his personal army of Greatcoats have been humiliated, disbanded, and scattered all trying to fulfill their secret missions to their King. Trying to maintain law and order in a society ruled by those who have no regard for such, is a dangerous and difficult task. Our heroes must fight for justice as well as try to save their country from eternal and corrupt rule. Easy right? I reviewed this last week, but I cannot stress how much I enjoyed reading it. I do not know if it was because I have been sorely missing fantasy, or because of the quality of the book (probably more of this), but it has quickly sky rocketed up to my faves (read my review here). I am going to be posting a review of this tomorrow, so here’s a sneak peak! This book totally surprised me. It is one of those books where you think you know what you want to happen, even from the beginning, but when you get to the end, where you may even get what you want, suddenly the way you feel about everything that happened in the book has changed. It is hard to decide which way is up and even now I do not know how I feel about this ending! 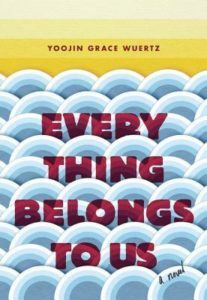 This book centers around the friendship of two women who navigate a time of economic and societal change differently. One has everything, yet wants none of it. And the other must fight for everything, for she has nothing. It is a story of ambition, desire, and identity. It is phenomenal and a book I want to talk about with everyone just so I can fangirl over it. 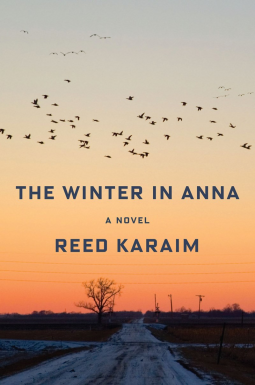 I read this synopsis on goodreads and I do not know if I just misread something or what, but reading this book was entirely different than what I expected. This complicated story is about two women, connected by one child, who experience motherhood is vastly different ways. For one it is a constant fight, against her body and also her culture which almost mandates motherhood. For another, it is a byproduct of a challenging journey to a better life, but one she takes to like a fish in water. Both love this child very much, this lucky boy, but motherhood is about sacrifices and these women are going to learn just how far they will go. I reviewed this book already, so you can read it here, but what this novel does well is paint all the characters in both lights. While I was clearly rooting for someone, there is no clear good and bad guys and each perspective is so elegantly and emotionally laid out. Now these may have had the opposite problems, book with high expectations or just books I did not like. Is it any surprise this is on here? In my review I was pretty harsh about it. While I feel quite badly about that, this book took me so long to read, and so it better well be worth my time. After reading many reviews after, I think this would have been better if I was reading the first one, not because you really need to plotwise, but because those who did seem to like it better. In short, the earth has experienced one Martian invasion attempt, in The War of the Worlds, but there are whispers of another one. 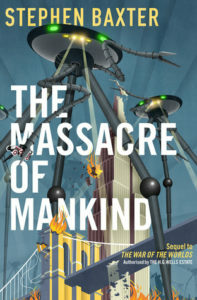 Lo and behold, another Martian attack occurs and the world, and the people in it, must figure out what to do. Time has passed, and it seems they will be even more formidable than before. I do not want to dwell on my distaste, so I shall leave it at that. If you want to know more, read my review. Okay so for me this is easy to identify why (and I reviewed it already). However, with some time, I feel stronger about this next point. Anna felt too much like a plot device to me. As if her only purpose was to help the protagonist achieve or explain something. Am I wrong? The story is basically as follows. A man gets a job in a very small newspaper in a very small town where he learns more about the people. At the same time, he finds out more about himself and what he is running from. Enter Anna who is an enigma and working with him. As he spends more time there, he struggles to uncover her mysteries and his own path. But for me, I want to read about interesting women who are agents of their own story, or at least have more of a purpose than for the development of our main character. This one pains me to say it, because I wanted to like it. Also I have read reviews from people who loved it. So, suffice it to say, I am pretty nervous about saying this. But for me, I could not really connect emotionally with the characters and I predicted what happened all the way till the end. Ultimately this story is a family drama. 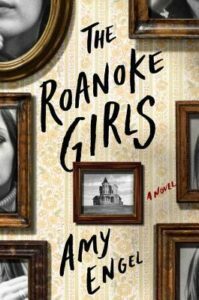 The Roanoke Girls never truly leave Roanoke, for it has an alluring pull that is impossible to deny. Each of them have suffered mysterious fates and our main protagonist’s life is no exception. She is called back to her family home when her cousin goes missing and is forced to bring the past to rest. Everything being said, this was still an enjoyable read for me, a solid three, and I d recommend it to those who like a somewhat creepy mystery. Look forward to my review in the beginning of March. Let’s Discuss: what books would have made your list? Any of mine that you recognize? Traitor’s Blade sounds like the perfect read for me! I’ve been seeing Lucky Boy around a lot. I think I need to add it to my TBR! Yes! I think it is a really complex portrayal of motherhood from two very different perspectives. Let me know what you think! So sad to hear about those last three books; I imagined you didn’t like them much but it’s not nice to see a book disappointing you. 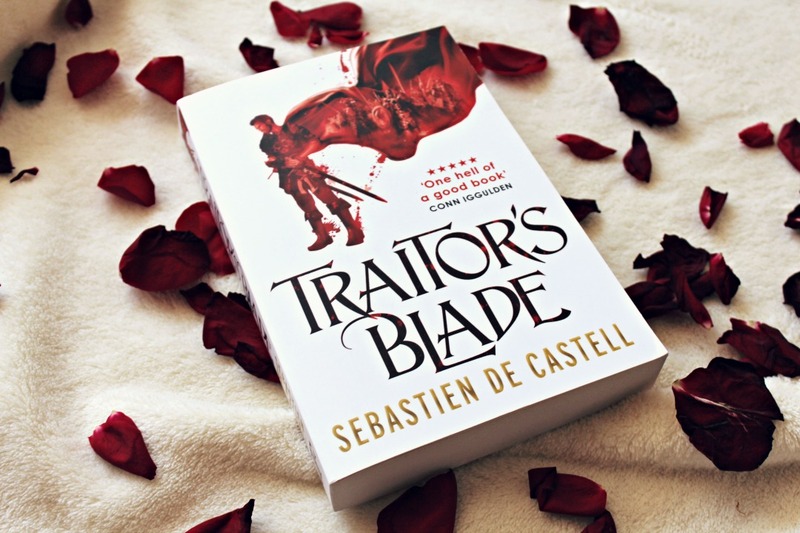 I haven’t heard of any of those books but I agree that Traitot’s Blade sounds interesting! The only one of these I’ve heard of is Roanoke Girls, but I just don’t know that it’s for me. I’ve read some raving reviews and some not so raving reviews and I’m afraid I might fall into that latter camp. I’ll probably pass on it. Yeah it was just hard for me to get into the characters. I had only read raving reviews, so I also really expected maybe more than I should have. I’m intrigued by Traitor’s Blade. I feel like I’ve been neglecting the fantasy genre for the last year and really want to pick up more. Thanks for sharing! It might for you! 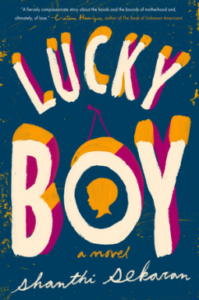 I hope it does 🙂 I want more people to read Lucky Boy, so Yay! !